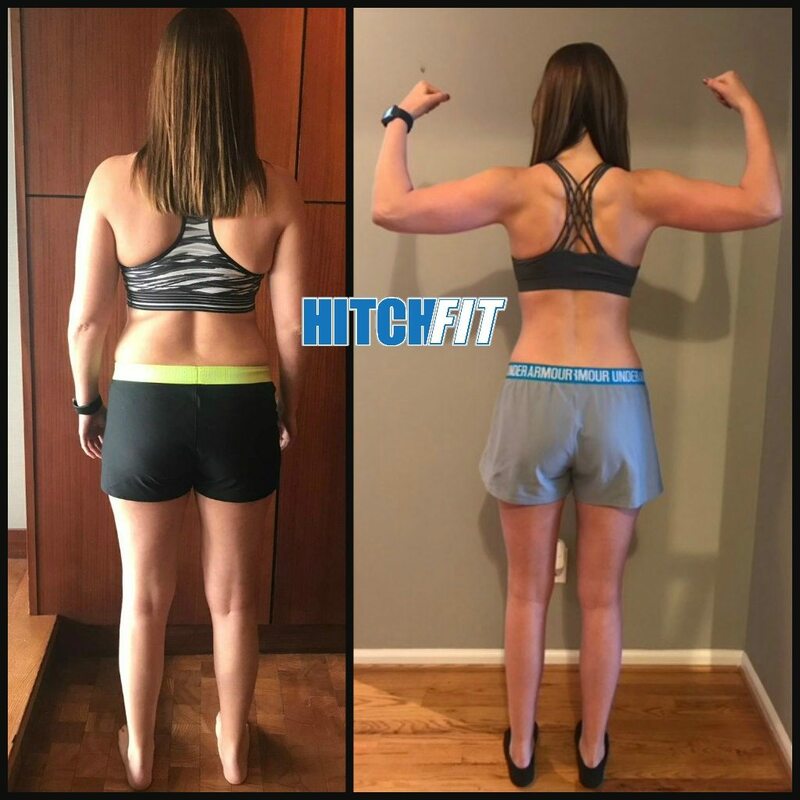 Megan lost 10% body fat in 90 days and learned a healthy new lifestyle with Hitch Fit Online Personal Training! 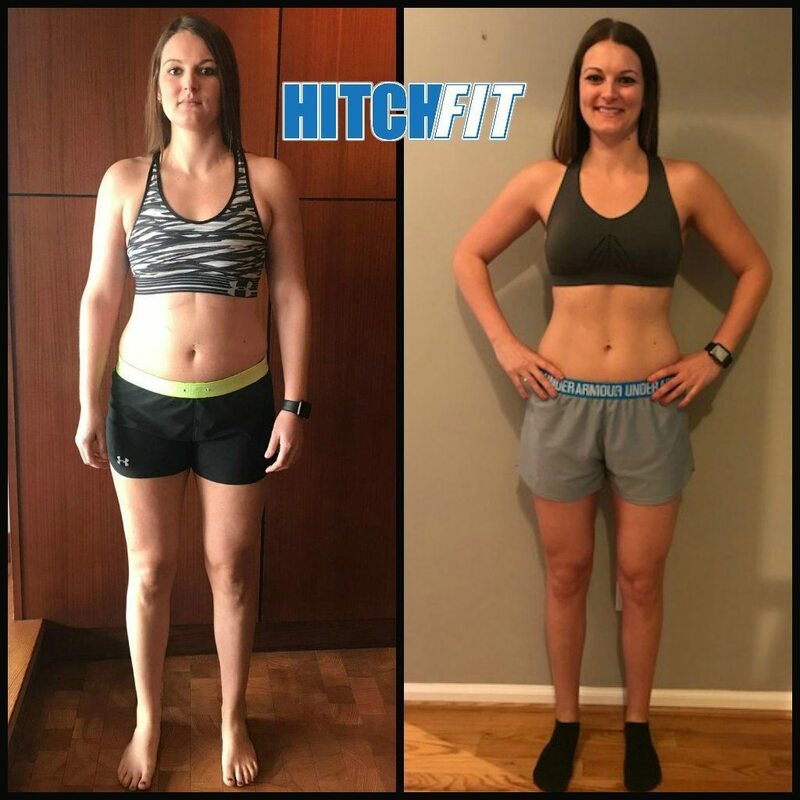 I’m so proud of today’s Hitch Fit Transformation Megan! 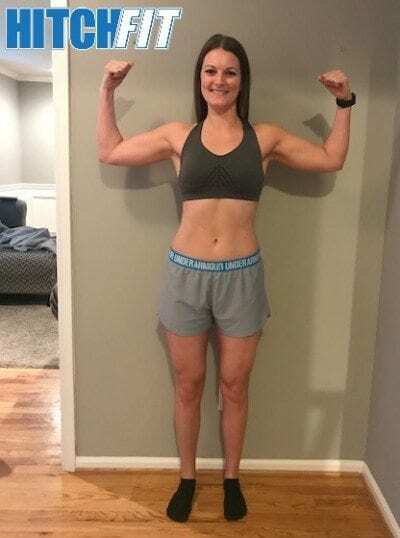 After thinking about doing a Hitch Fit Online Personal Training plan for a long time, she finally decided she was ready after seeing the amazing progress of a friend! 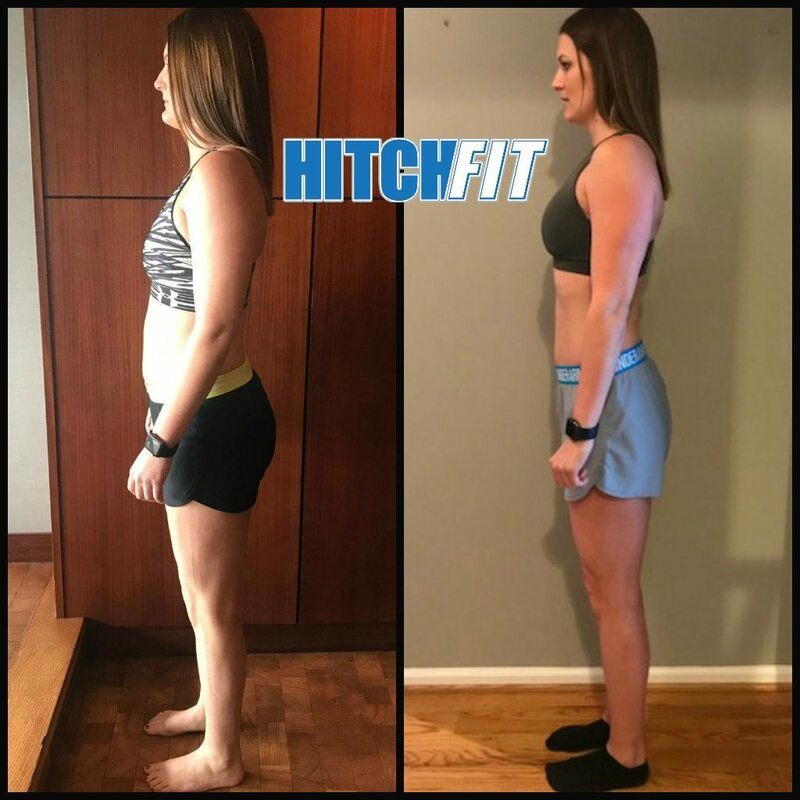 She dropped 10% body fat in her 90 Day Weight Loss Plan – Lose Weight Feel Great, and learned the Hitch Fit healthy lifestyle! Her only regret? Not getting started sooner! Way to go Megan! “I have been active my whole life playing sports, being outdoors, being in the gym. The past couple of years I was consistently in the gym 5-6 days a week lifting weights and doing cardio trying to get in better shape as the older I got, the harder that seemed to be. I wasn’t gaining weight, but I also wasn’t seeing any changes, everything was just remaining consistent and I felt stuck. 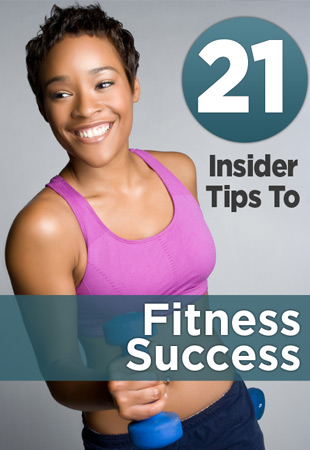 I had been on the fence about joining Hitch Fit for years, following the success stories, even going online and looking at programs. It wasn’t until a friend of mine from work went through the Lose Weight program and showed me her before and after photos that I was 100% in and signed up the following week to get started. I loved watching my body change and was excited to check my progress each week, the only thing I regretted was not signing up years ago when I started looking!